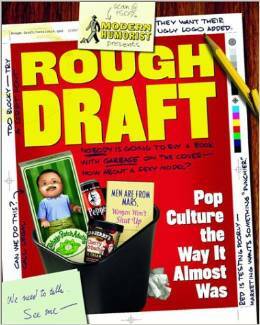 Modern Humorist's Rough Draft: Pop Culture the Way It Almost Was is now available from all reputable booksellers! Rough Draft is a 100% untrue history of pop culture, fully illustrated with "evidence" uncovered through exhaustive research. Behind every box-office smash, bestselling book, and hit television show lies a rough draft, the creator's original vision in its purest form. For the first time ever, these forgotten blueprints of the creative process have been gathered into a single volume! 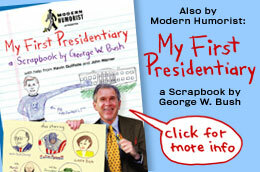 Copyright 2001 Modern Humorist, Inc. All Rights Reserved. Modern Humorist is not intended for children under 18 years of age.